As a Money Coach, I am often contacted by someone who claims to be a hot financial mess. 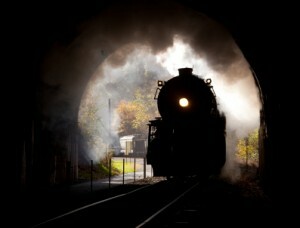 In fact, many people think that they’re financial train wrecks just waiting to happen. Actually, some of them are right: their economic circumstances are indeed dire. But some people are simply excessively worried, at a loss for how to fix a problem, or are being overly dramatic about their situations. How can you tell the difference? I’ve identified three areas that signal that you could, in fact, be a financial train wreck waiting to happen. I’ve also identified three additional, less obvious red flags that could also mean you’re in store for future economic problems. (This article will tell you the first three; my next column will tell you the next three). Simply having any of these six problems at one point in time won’t make you financially doomed. But if you find that these are chronic issues – year after year – then it’s definitely time to straighten up your financial act. If you recognize yourself in this list below, don’t be offended and don’t feel hopeless. At one point, I had all these classic warning signs too. But I turned my financial life around – and you can too. The first indicator that you’re a financial train wreck waiting to happen is if you have too much debt. Having too much debt of any kind sets you up for potential failure over the long haul. Whether it’s too much credit card debt – due to excessive shopping, poor money management, or overspending – or too much mortgage debt that could burden you for years, if not decades to come; none of it is good news. Excessive debt is a burden, and frankly, a noose around your neck. The same can be true even when you’re taking on so-called “good” forms of debt like student loans. What good it is to rack up $60,000 or $80,000 worth of student loan debt, get out of school, and perhaps not be able to get a job? Or maybe you only get a job that’s paying, say, $35,000 a year. That’s too much college debt relative to your income and your career prospects. Worst case scenario? You could wind up in bankruptcy, divorced over money problems, or even a fugitive in another country running away from debts. So, having too much debt is definitely one sign that you could be a financial train wreck waiting to happen. And it’s a problem area you should aim to resolve immediately. For tips to get out of debt, read the free online edition of my New York Times bestseller Zero Debt: The Ultimate Guide to Financial Freedom. If you have a poor credit rating, that could also set you up for major problems down the road. Bad credit means that you haven’t been paying your bills on time, you likely have too many debts or accounts in collection, and you haven’t been managing credit wisely. Consequently, unless your fix your credit problems, you’re going to pay more for all of your future borrowing costs. That mortgage you’ll need, the student loan, the credit card offer, the business loan you might want and so on – all of those things are going to come at a higher price if you have poor credit rating. You’re also going to pay more for a host of things that you need throughout your life, like life insurance and your car insurance. Having a poor credit rating can even derail your career prospects. Worse cast scenario: Your bad credit ruins your job/business opportunities, you constantly get turned down for loans and credit, or when you do get approved, everything comes at a sky-high cost for you, because the subprime lenders are just waiting to take advantage of your desperate circumstances. I know it sounds awful. And that’s one reason you should work to improve your credit score ASAP in order to avoid being a financial train wreck. To learn some easy ways to boost your credit rating, watch this quick video about how to increase your FICO score. If you have no savings whatsoever, that’s a sign that you have not been operating with a proper budget, and that you don’t yet have the fiscal discipline required to set aside a little something just in case anything goes wrong. And poor savers, or folks who can’t save money at all, invariably find themselves pretty much laying flat down on the railroad track of life. Unfortunately, the train of life – think of it as the “Reality Express” – comes running over these people time and time again. So, if you have no savings, you’re just asking for trouble and you are a financial train wreck waiting to happen. Worst case scenario: Some unforeseen whammy hits you, like divorce. Then another problem happens, like unemployment or a steep downturn in your business. And then a third emergency, medical illness, piles onto your already full plate of financial woes. Without any savings to act as your cash cushion, you can’t withstand all these economic body blows. So you fall into major problems like homelessness or having to eat at local soup kitchens. Again, I don’t mean to depress you. But I want to issue a wake-up call to those of you with no savings or emergency funds. Why do you think it is that we now have a record 46 million Americans on food stamps and nearly 50% of all U.S. citizens living in poverty or classified as “low income”? Part of the answer is that the lack of financial literacy and financial education in this country is appalling, and people haven’t been taught basic money-management principles, like how to save for emergencies. In my next column, I’ll share three additional situations that you may not have considered as red flags, but that are also crucial to your financial health.